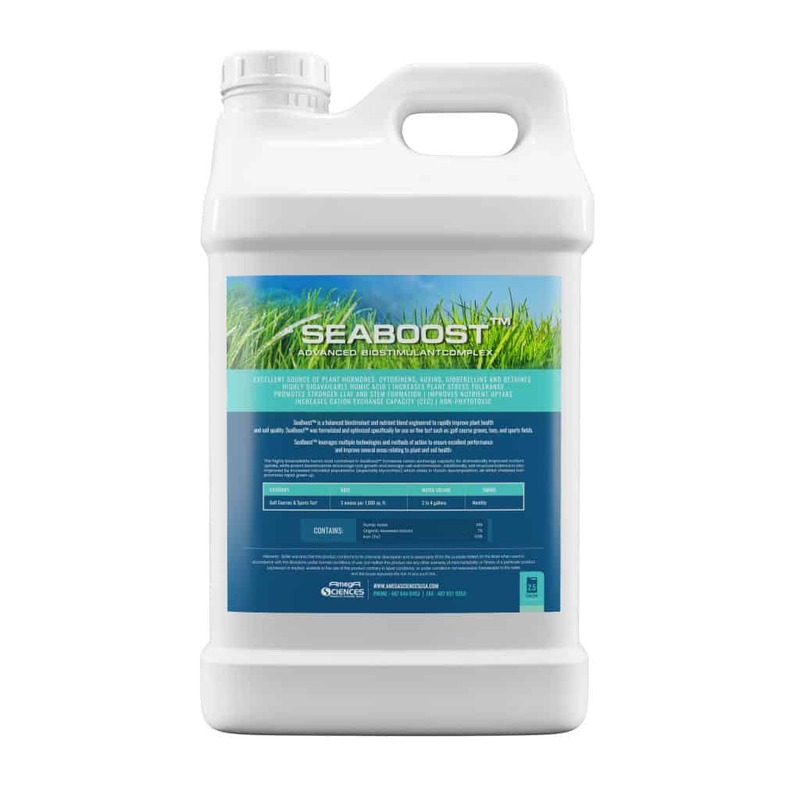 SeaBoost™ is a balanced biostimulant and nutrient blend engineered to rapidly improve plant health and soil quality. 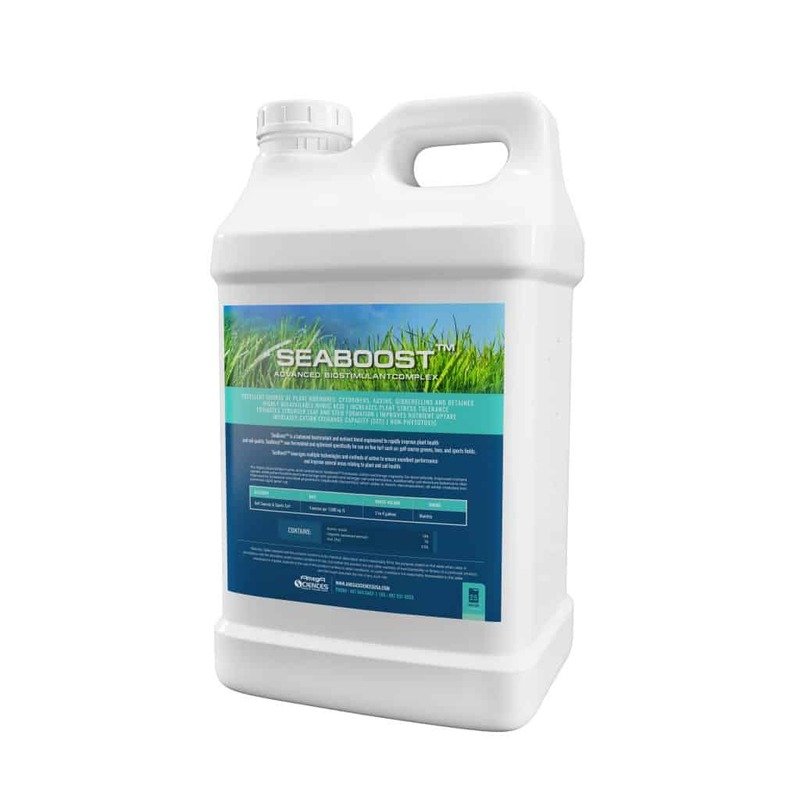 SeaBoost™ was formulated and optimized specifically for use on fine turf such as: golf course greens, tees, and sports fields. The highly bioavailable humic acid contained in SeaBoost™ increases cation exchange capacity for dramatically improved nutrient uptake, while potent biostimulants encourage root growth and stronger cell wall formation. Additionally, soil structure balance is also improved by increased microbial populations (especially Mycorrhiza) which aides in thatch decomposition, all whilst chelated iron promotes rapid green up. 3 ounces per 1,000 sq. ft.